Shred the block of cheese. 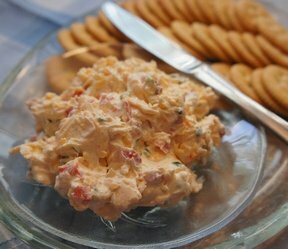 Combine the cheese and pimento with milk in a food processor. If the spread is not thin enough, add milk until the right consistency. 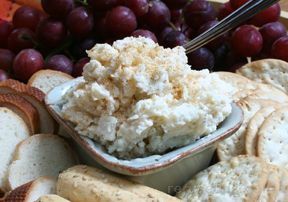 If the spread is too thin, add crackers until the right consistency. Add sugar. Spread on bread or crackers.